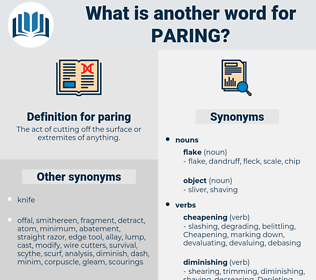 What is another word for paring? 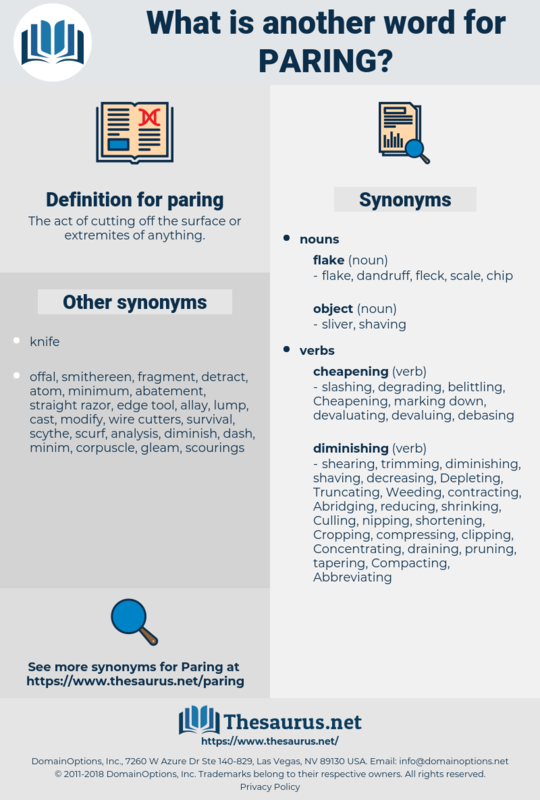 The act of cutting off the surface or extremites of anything. So long as there was no probability of war, the people of England have quietly permitted the cheese - paring politicians who govern us to cut down the army and navy to a point when we can hardly be said to have an army at all. She told them that she would interest them in her business, and pay them a sou a day to assist her in paring her vegetables.